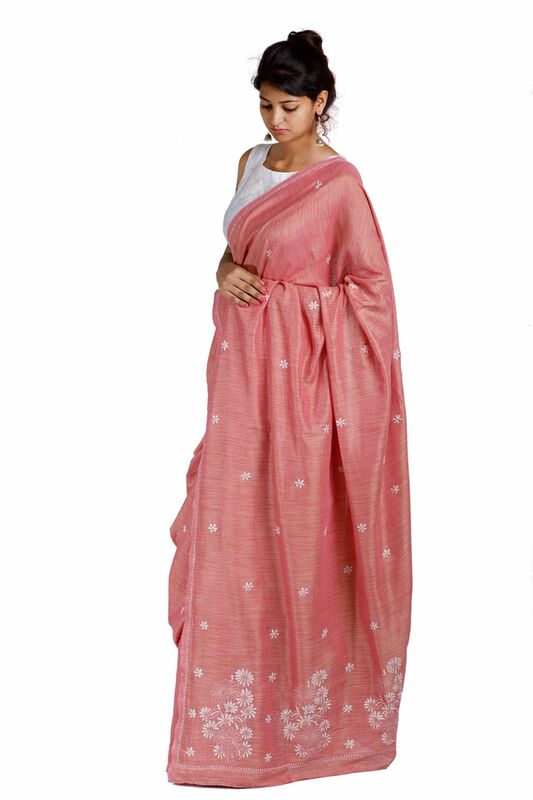 Salmon Pink coloured Handwoven Kosa Khadi fabric has been made beautiful with small flowers of Chikankari embroidered on it. 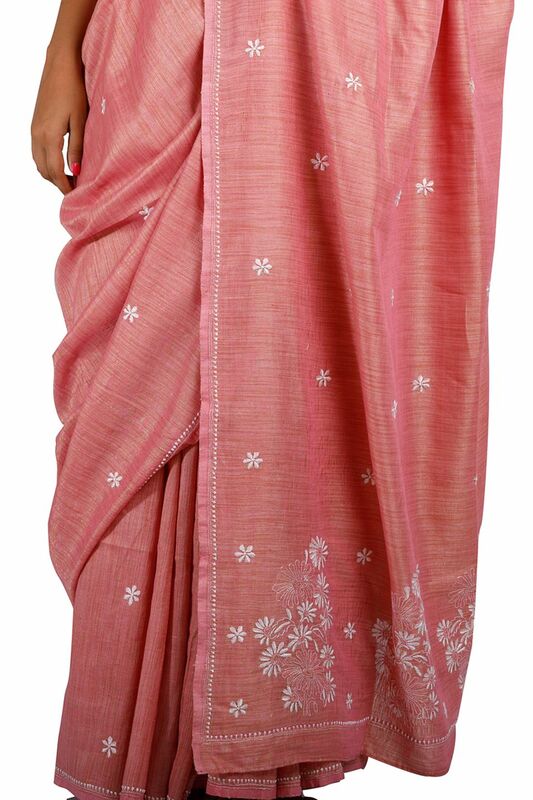 The Chikankari seen here is done in Resham Thread that is rare & looks extremely neat & beautiful. 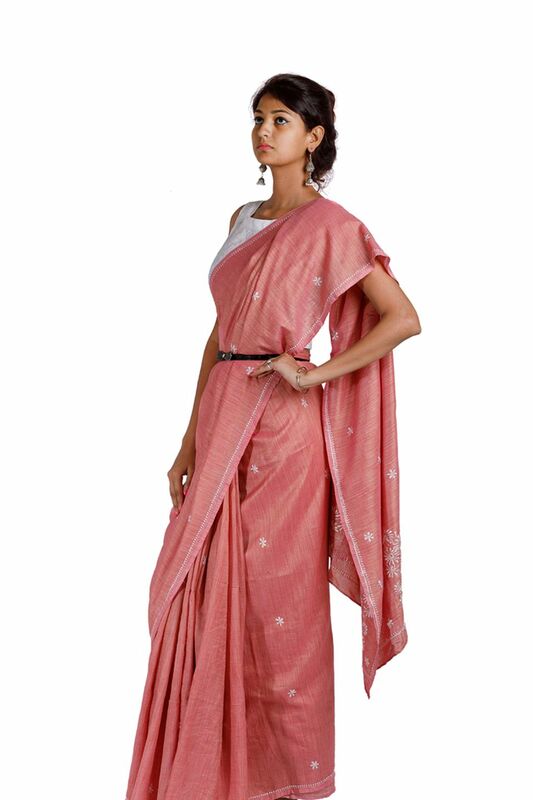 The saree is a perfect wear for corporate office as well as dinner dates.